REDUCED PRICE FOR HALLOWEEN !!! 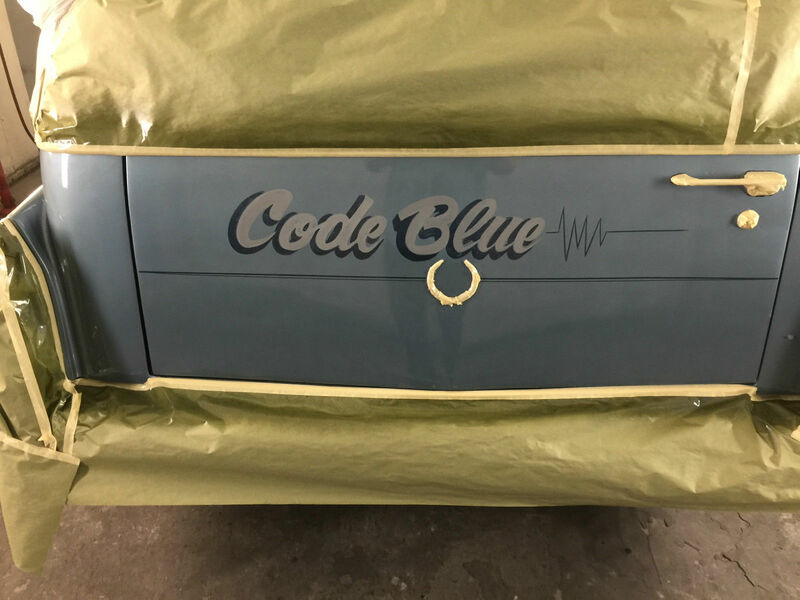 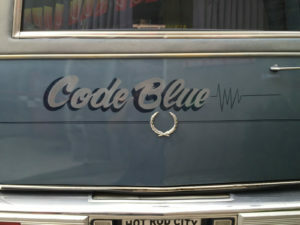 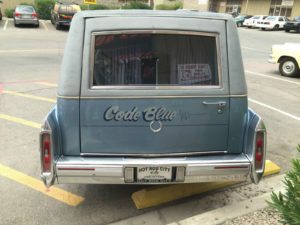 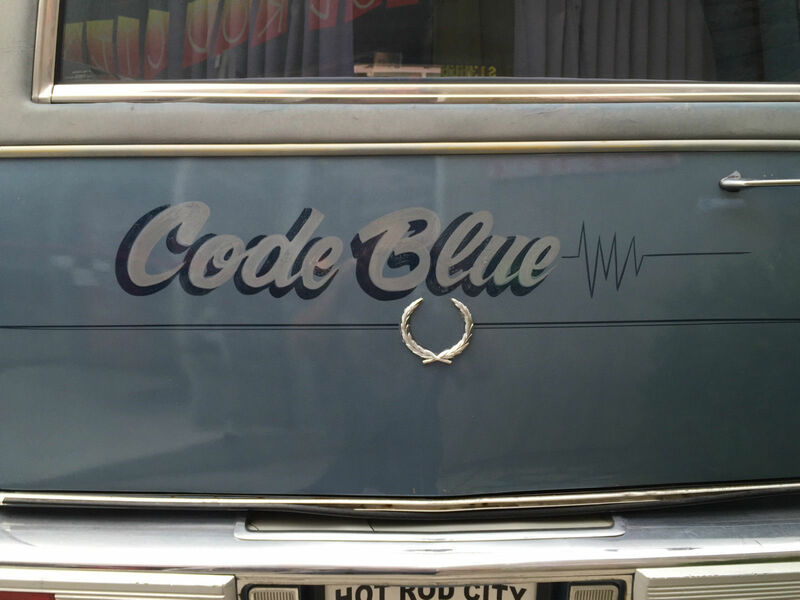 We call this cool Hearse CODE BLUE ! 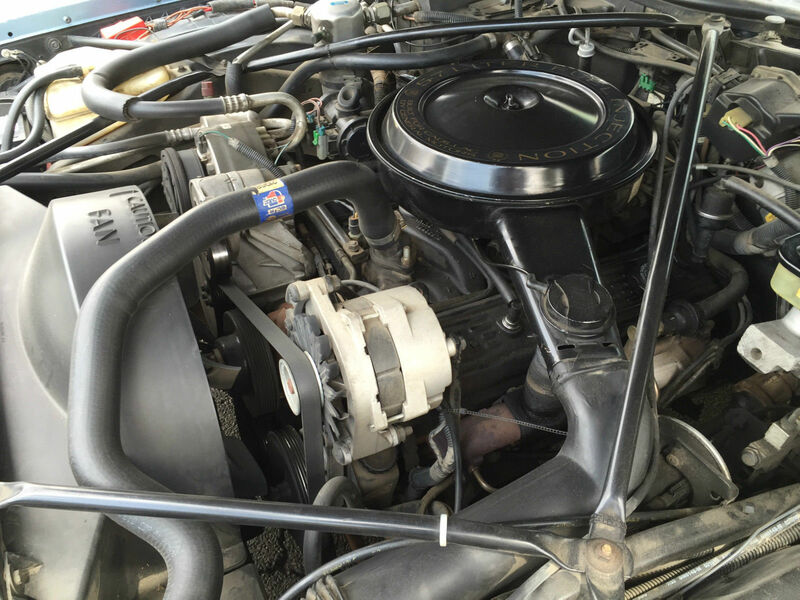 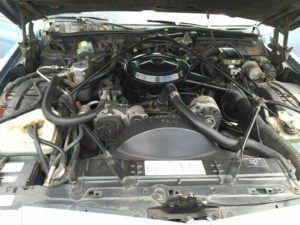 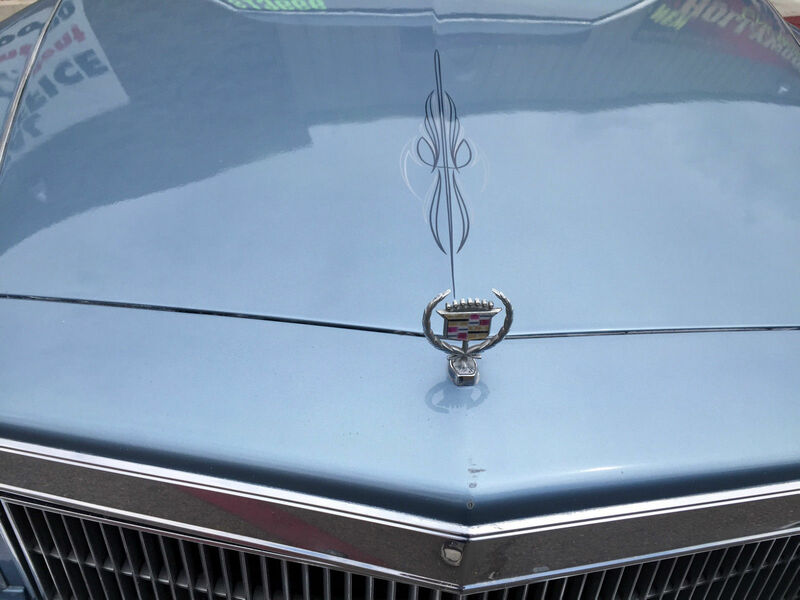 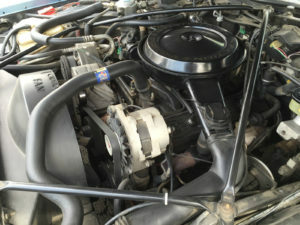 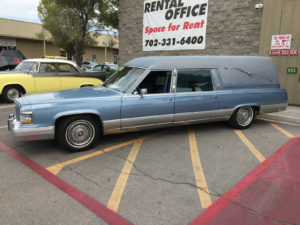 It’s a 1990 Cadillac Broham d’ Elegance Hearse body by Federal. 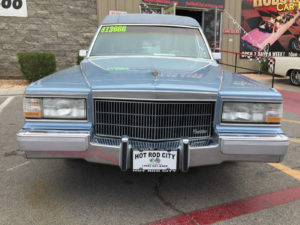 It has just over 38,500 original miles and runs like a dream. It had some paint fading here and there from sitting in the sun out when not being used by a funeral home out in California, so we brought it to Vegas and gave it some cool gothic pin-stripping and covered it with a layer of clear coat with blue and silver pearl to make it really pop but leave the original patina. 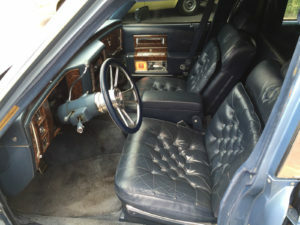 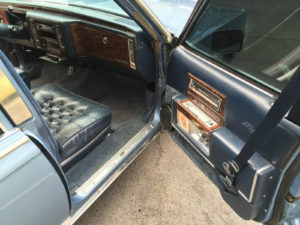 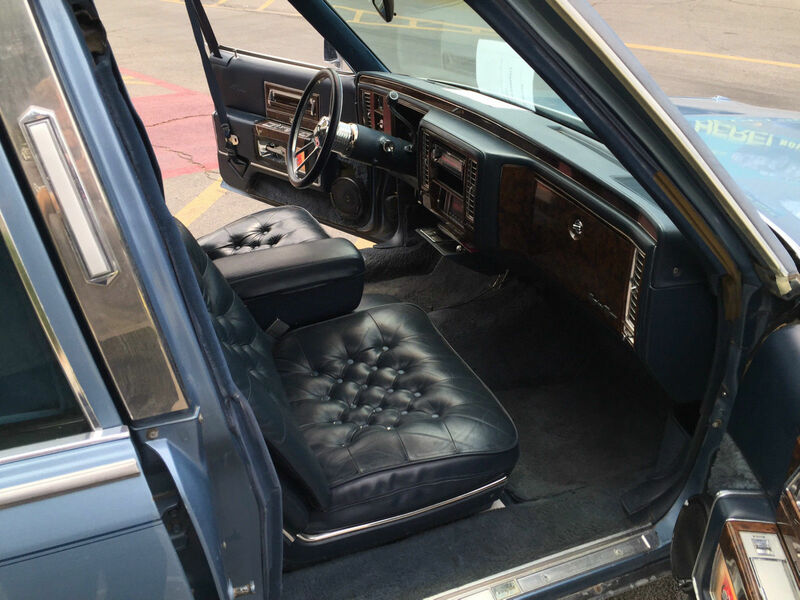 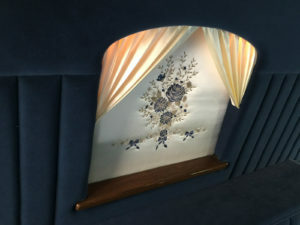 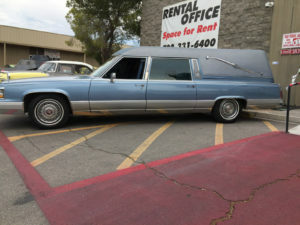 It has nice blue carpeting in back with light-up tapestry for a very creepy effect… nice headliner.. plenty of head and leg room in the back.. he he… custom steering wheel, loud horn, nice leather seats, power windows and brakes (passenger side window does not always work properly FYI), nice Stereo with iPod/Phone jack, good tires and nice wire wheel hubcaps… a very fun and smooth running vehicle.. drives like a Cadillac should. 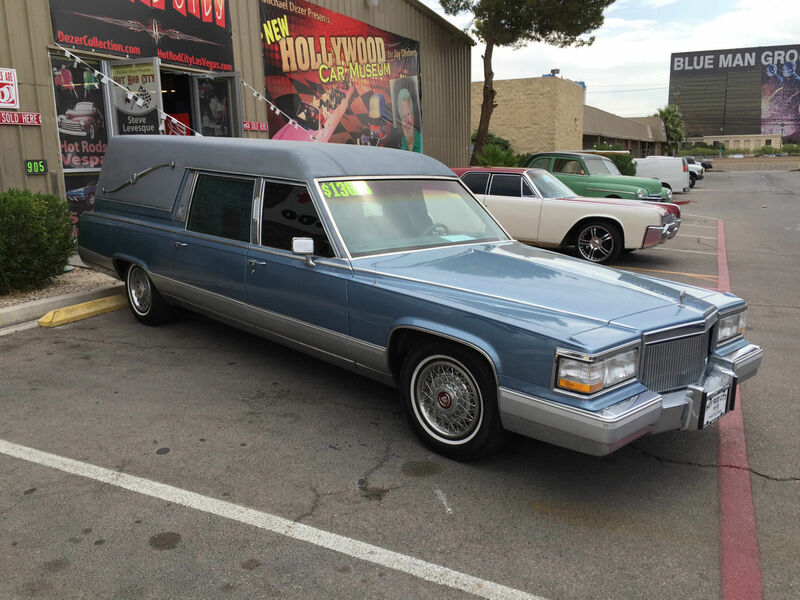 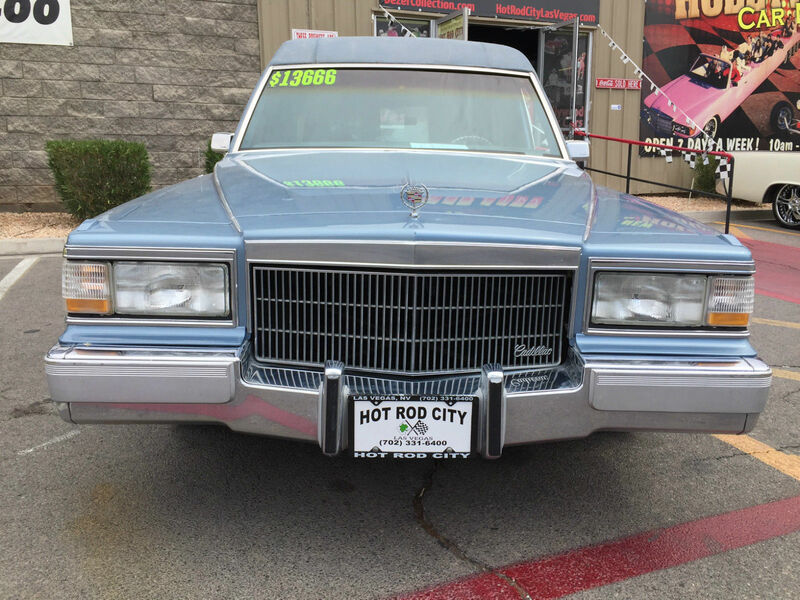 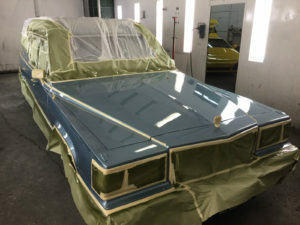 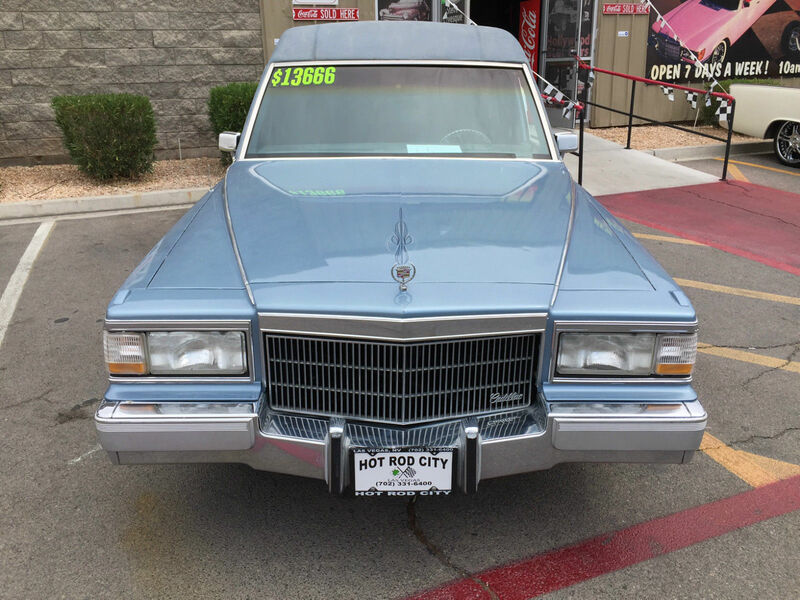 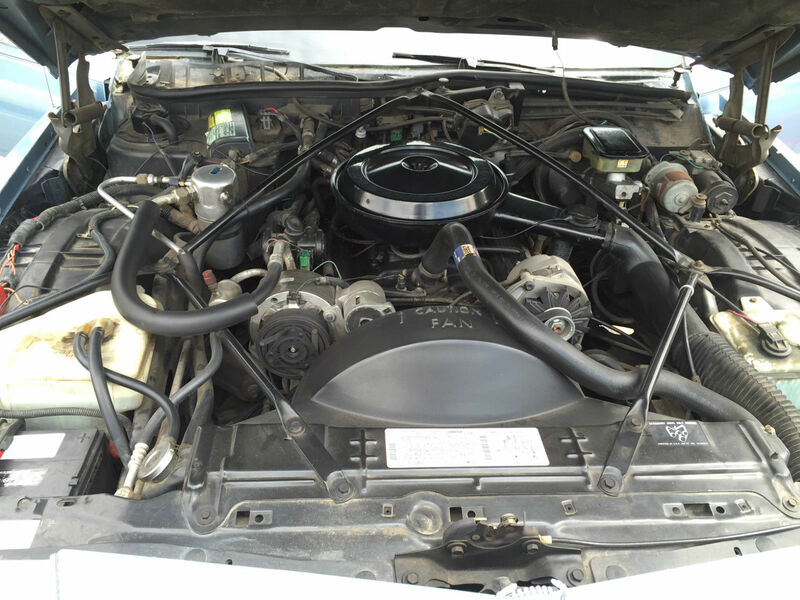 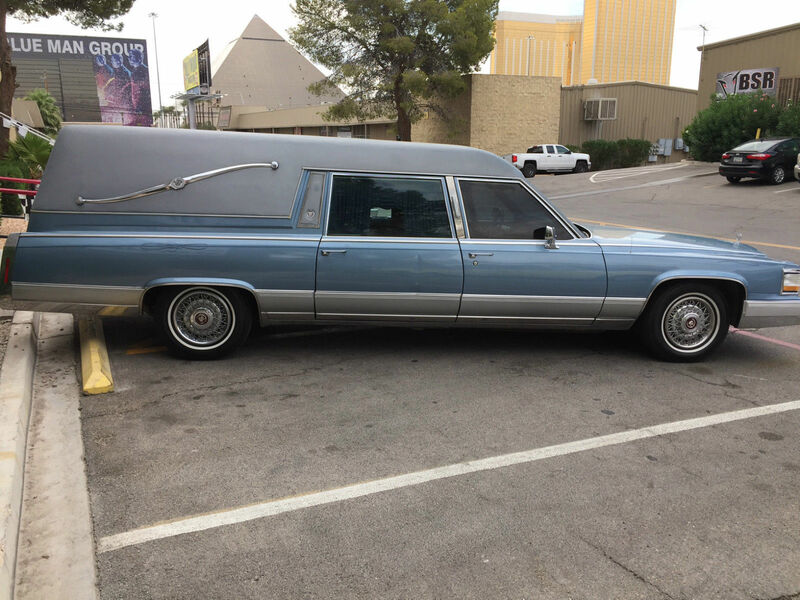 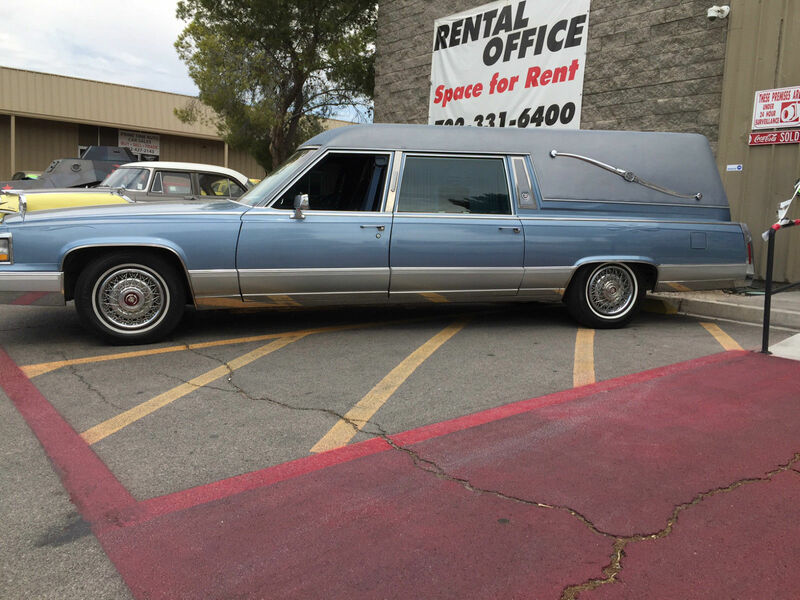 Funny story, when I bought the car , the funeral home delivered one final body to Vegas and brought the car to me shop at Hot Rod City… so it was in service and did a great job right up to the end ! 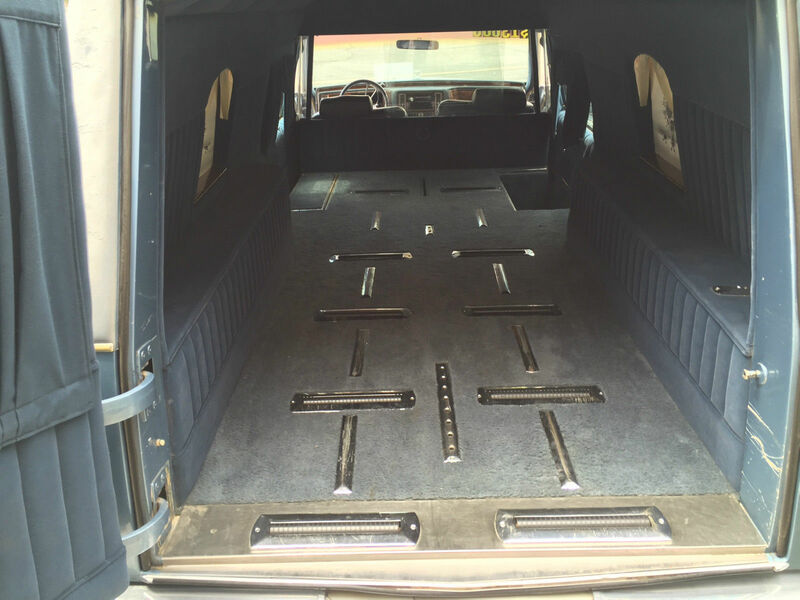 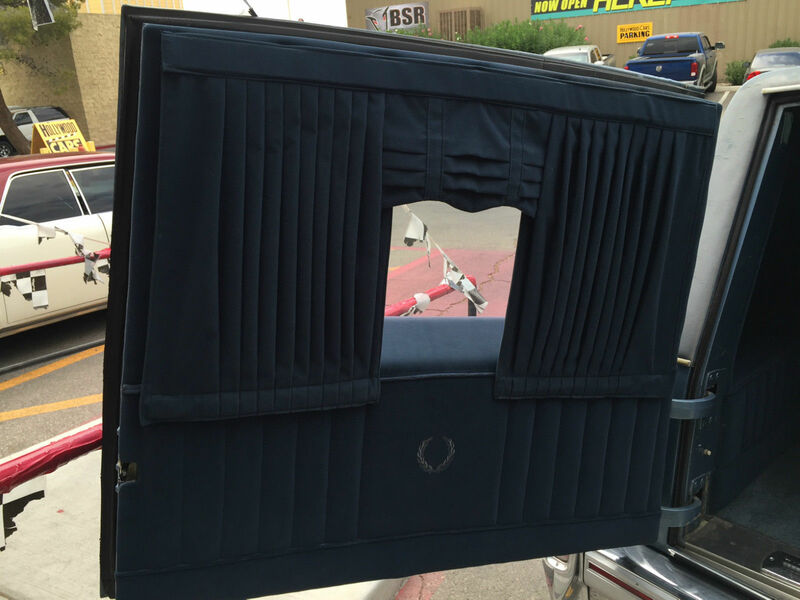 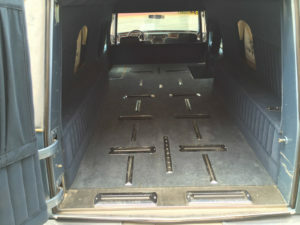 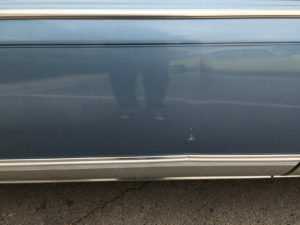 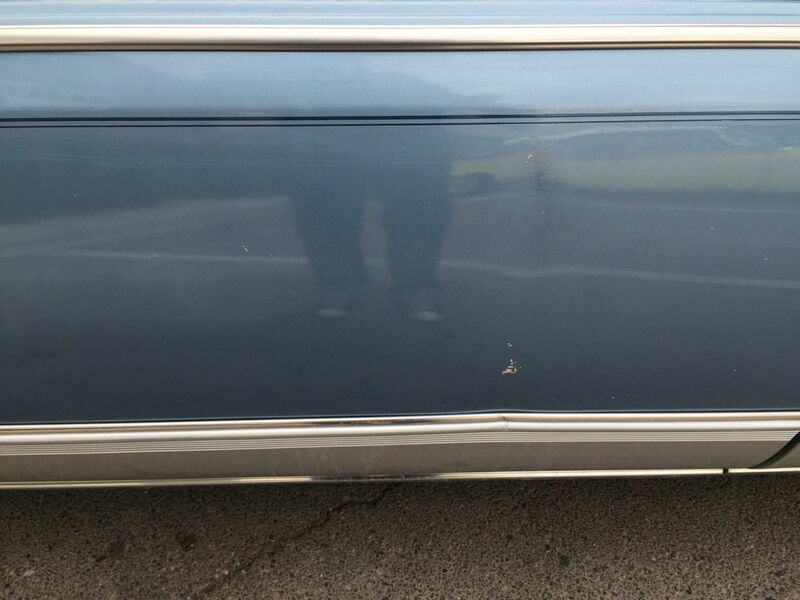 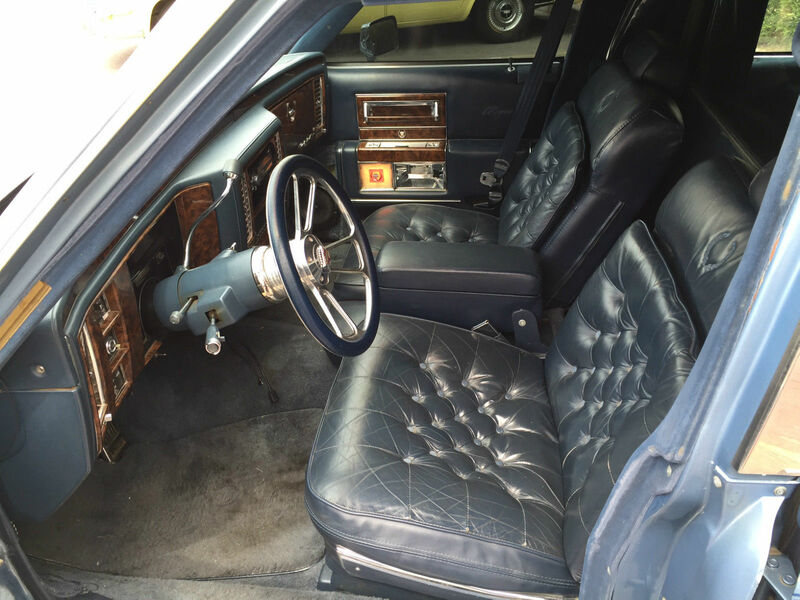 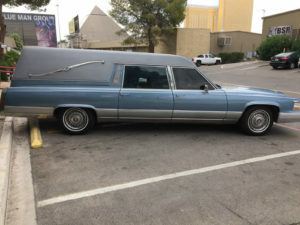 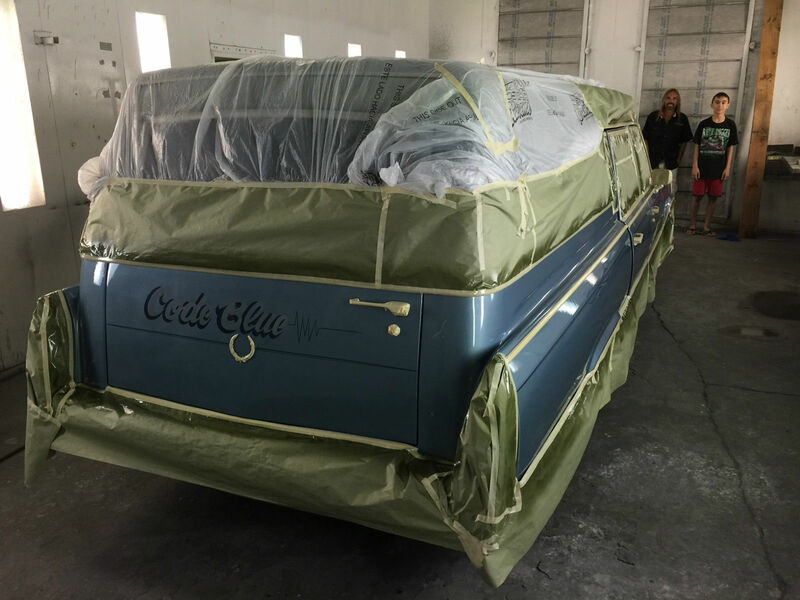 PS We named the Hearse CODE BLUE… but it not a “flat-liner” at all ! !